The Kinetic designer radiator from Ultra, make a real feature of any room in the house with the Kinetic designer radiator. Providing excellent heat output with the classic styling. 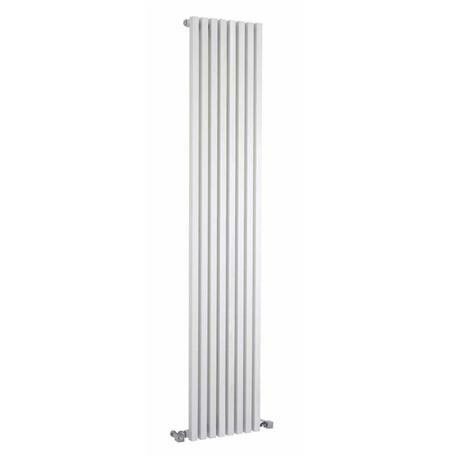 Add a touch of classical elegance to any room with the vertical simplicity of this 1800 x 360mm designer radiator, guaranteed to be the focal point of any setting. Ultra provide luxury designer bathroom products at desirable prices, combining comfort and reliability with practicality and quality craftsmanship. Available in a range of finishes including high gloss black, high gloss silver, anthracite & white. All tappings are 1/2” BSP. The radiator is reasonable quality although I have not tested the heat outputThe brackets and fixings that are provided are simply the worst I have ever used. They are not adequate for the weight loading and a pain to install. I've ? .